“‘Life would be chaos.’ If we allow disobedience to Law we will have anarchy. That idea is inculcated in the population of every country. The accepted phrase is ‘Law and Order.’ It is a phrase that sends police and military in to break up demonstrations everywhere, whether in Moscow or Chicago. It was behind the killing of our students at Kent State University in 1970 by National Guardsmen. It was the reason given by Chinese authorities in 1989 when they killed hundreds of demonstrating students in Beijing. “It is a phrase that has appeal for most citizens, who, unless they themselves have a powerful grievance against authority, are afraid of disorder. I appreciate Zinn’s view on “absolute obedience to the law – may achieve order – for a time, while lacking justice.“ My point in sharing it is: just because it’s a “Law” (or a rule, or regulation) does not make it right or just; and when it’s not, especially when those in power recite such to justify violations of human rights, it’s the responsibility of all to protest, to rebel, to cause disorder- as necessary to force change. I greatly appreciate your time, attention, courage and dedicated, supportive commitment to our collective struggle. Our strength and power come from our unity! And I am certain we can and will continue to make positive impacts upon the system, forcing real changes — beneficial to all. I hope we all continue to move forward, confident our fight is a worthy and just cause, working together in imaginative, strategic ways. It would be great if people will share, promote and build on the subject. Examples are in my “Open Letter…” possibly adding a Supporting Petition, signed by as many as possible, even if such is presented after publicly presenting the “Open Letter” to the named parties. There are more innovative, imaginative ideas that I’m working on, and will share for your consideration soon. In the meantime, stay strong and have a Happy Holiday Season and New Year. and to Prisoner Class Supporters, the Public, etc. RE: Attention to Ongoing Human Right Violations, and Related Lack of Reparative Action Necessary to Begin Making Amends for 3+ Decades of Systematic, Intentional, State-Sanctioned Torture. 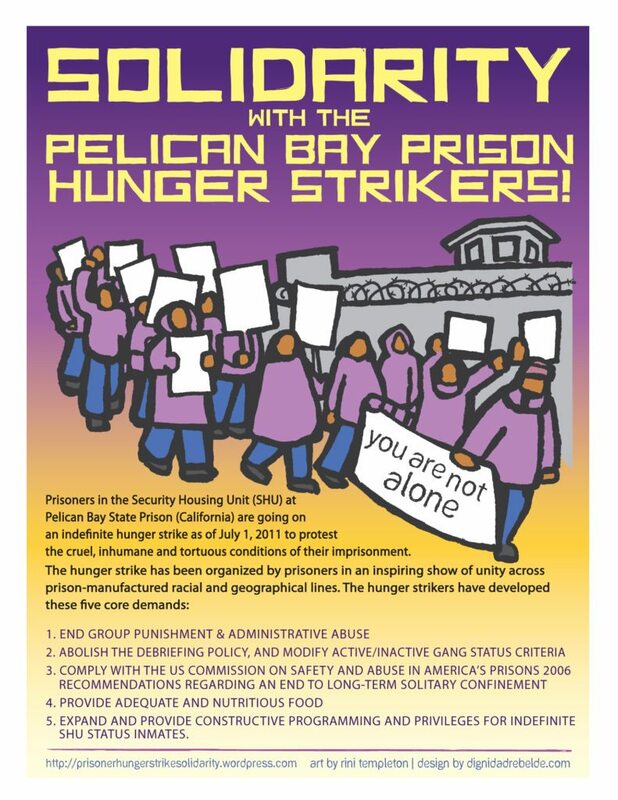 I present this ‘open letter’ as a proudly involved principle representative of the growing Prisoner Class Human Rights Movement, as a peaceful action-activist, prison conditions litigator (inclusive of lead named plaintiff in Ashker v Brown), and 30 year survivor of CDCR’s State-Sanctioned Torture. I bring to your attention five (5) examples of CDCR policies and practices equating to egregious, on-going human rights violations, resulting in numerous deaths and terrible, permanent harm to tens of thousands of prisoners, to our outside loved ones of the prisoner class, and the general public — with the hope for meaningful, tangible action to ensure such never occurs again, as well as timely, reparative action necessary to begin making amends for harm caused. I. Examples of CDCR policies and practices equating to egregious, on-going human rights violations, harming tens of thousands. A.) Status-based (CDCR classification as validated, gang affiliate), Indefinite Placement in Solitary Confinement (SHU) “until you parole, die or debrief.” Many prisoner class members were subjected to this endless, torturous nightmare for 3+ decades. Secretary Kernan called this a “Failed Experiment” during an October 2017 TV interview on a 60 Minutes segment. B.) Building 23+ prisons, equating to thousands of cells, basically designed as massive human warehouses, with little thought about work, education, vocation, rehabilitative opportunities — thus severe shortages of such, including few support structures (class rooms, shops, etc), resulting in the majority of prisoners languishing in small cells for years on end. This is in spite of the fact that providing prisoners with such opportunities of substantive meaningfulness is proven to reduce recidivism. C.) Building several large prisons in the southern Central Valley desert areas of the State, known to be covered with deadly valley fever spores (going at least as far back as WWII, whereupon, the same areas were sites for German P.O.W.s and Japanese internment camps, where hundreds died of valley fever). Notable is the fact that, in an approximate 4 to 6 year time period, 60 to 70 CDCR prisoners died of valley fever, with countless others, including staff, becoming deathly ill- many permanently damaged. Around 2014 – 2015, the Federal Court Medical Overseer (of Class Action Plata case) ordered the immediate transfer of approximately 300 at-risk prisoners to prisons outside the known valley fever zone. This order was initially resisted. The media quoted Governor Brown stating, “It’s not been proven valley fever is the cause of deaths and illnesses. Thus, we will challenge the order, pending a study,” …until a New Yorker magazine article published data regarding WWII deaths at the same sites. D.) Decades of constitutionally deficient medical and mental health care, which the state fought tooth and nail to preserve – resulting in countless preventable deaths (medical and suicidal) – and demonstrated a total lack of respect for the Federal Court Orders. E.) CDCR policy and practice that subjects countless women prisoners seeking contraception, and other types of care, to permanent sterilization! Without their knowledge or consent! F.) CDCR policy and practice, arguably resulting in at least 39 deaths and 100’s of severe, permanent injuries, and amounting to criminal homicide, and assault with great bodily injury over a 9 year period, from January 1987 to December 1995: the “No Warning Shot” and “Integrated SHU-Concrete Yard” policies. Wherein, “policy” mandated staff respond to any/all physical altercations with deadly force (high power assault rifles, using specialized ammunition designed to cause maximum damage, e.g., 9mm, ‘glazier’ rounds and mini-14, 223s); at the same time, CDCR “Integrated” the small concrete yards at New Folsom and Corcoran, placing segregated SHU prisoners – segregated based on historic rivalries – on yards together. To reiterate, the above are presented as ‘examples’ of on-going human rights violations in the CDCR system. They are each notable to have gone on- unchecked for long periods of time- known to be morally and ethically (in addition to legally) wrong beforehand. Each of the above continued for long periods of time, until finally being publicly exposed, and condemned, thereby forcing some changes (often after protracted legal battles, as well). II. Suggested Reparative Action/s Necessary to Begin Making Amends for 3+ Decades of Systematic, Intentional, State-Sanctioned Torture. Please Note: the following are suggested examples of reparative-type actions, to begin an amends process for the tens of thousands of warehoused prisoners, in general, as well as towards the damage done to those members of the prisoner class subjected to the “failed experiment,” having been subject to more than 30 years of solitary confinement torture- the damage of which persists to this day. See, for example, the 2017 Stanford Report. Many prisoners used as ‘guinea pigs’ in CDCR’s decades long solitary confinement (a “failed experiment” per Secretary Kernan) are serving term-to-life sentences: 7 years to life, 15 years to life, 25 years to life – incarcerated since early 1970s, 80s and 90s. They are above and beyond their base-term, and their minimum eligible parole dates, many having served double, triple, and more beyond said dates. I know several men who are still serving “7 years-to-life” sentences, given between 1970 to 1978. We spent 20 to 30+ years in solitary confinement, based on ‘status,’ rather than ‘behavior,’ were denied work, vocational training, education, and rehabilitation opportunities for most, if not all, of this time. When we go to our parole hearings, we are issued multi-year deferrals until our next hearings, again based on ‘status’ alone, for the most part, rather than individual evidence of current, serious danger to public if released. We hear rote recitations of gang validation, lack of programming, lengthy SHU, refusal to debrief, participation in hunger strikes, and relatively minor prison rule violations like ‘possessing a cell phone’ which nets a 5+ year deferral by itself. Much of the above is related to our being included in the “failed experiment.” We are now in our 50s, 60s, 70s — begging the question: How do you repair the decades of damage done to our ability, under current standards, to receive a parole date? Notably, California has approximately 30,000+ Lifers above their ‘minimums.’ Most are elderly, thus costing more annually than today’s average California prisoner does, at $72,000 + annual cost. It’s also a matter of proportionality, coupled with ‘current danger’ factors. Statistics nationwide, over the course of decades, demonstrate that prisoners sentenced to life, who have served 10+ years; who are paroled above age 40, have a less than 2% recidivism rate. (ii) Dissolve the Board of Parole Hearing’s (BPH) Psych Unit, known as FAD (Forensic Assessment Division). This unit is composed of psychologists the Board hires, trains, pays, and retains firing power over. Their purpose is to conduct “current danger” evaluations of lifers up for parole eligibility hearings. It’s more sensible, accurate, and cost effective to simply use CDCR’s “California Static Risk Assessment” (CSRA) as the tool applicable to BPH Lifer Parole decisions. I believe such is the tool used in Washington for lifers’ paroles. (i) Enact legislation designed to prevent the on-going human rights violations, exemplified by references herein. 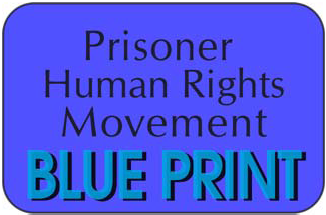 For example, expand on the rights accorded the prisoner class in Cal. Penal Code §§2600, 2601, et. seq., to include, but not solely limit to: Rights to be free of solitary confinement (SHU, ASU, defined as spending 22 ½ hours per day in a cell, etc) for periods longer than permissible under International Treaty Law; Right to Contact Visits, 3 to 4 days a week; Right to Same Protections Against CDCR’s Use/Abuse of Confidential Source Information, as Accorded to Defendants in Criminal Prosecution (e.g., Cal Penal Code §§1111 and 1111.5, et. seq.). (ii) Provide the funding, with an immediate mandate for CDCR to construct the support facilities necessary (sufficient numbers of classrooms and vocation/rehabilitation work shop areas) at each facility to provide programming and rehabilitation for the majority, rather than current minority, of prisoners. (iii) Open up the Level IV General Population Prisons, allowing much more out-of-cell time (e.g., yard, day room, etc.). Such Level IVs are presently operated like modified SHU units, with thousands warehoused in cells, spending more time in small cells, than SHU/ ASU units. (iv) Expand Contact Visits, adding 1 to 2 days of visiting to the current weekends-only allowance. This can be accomplished without additional costs, simply by closing down a few of the nearly empty ASU -Stand Alone Units, and re-routing costs and staffing from such units to visiting day expansions. (v) Remove ‘Close Custody’ Classification [applied per Revised Regulation – Feb. 20, 2017- CCR, Title 15, §3377.2 (b) (1) (A), to most members of Ashker v. Brown Class Action, released from decades of failed ‘experimental’ solitary confinement Torture, to general populations, based on October 2015 Settlement]. ‘Close Custody’ prohibits 72 hour ‘Family Visits,’ as well as further restricting various programming and privilege opportunities. (iv) End Close Custody Privilege Group Classification, Program Failure determination- based on “a significant disciplinary history which may be evidenced by 2 Serious, or 2 Administrative and 1 Serious Rule Violations in a 180 day time period…” (per CCR, Title 15, §3000, Program Failure definition). This places severe punishments on the prisoner, in addition to those imposed for each rule violation. It is imposed regardless of the prisoner’s positive programming in every other way- work, school, rehabilitation, yard, day room, etc., and actually strips away one’s job, etc. ‘Program Failure’ Close Custody status was created in 1985-1986, to punish those prisoners “refusing a job or education assignment.” That’s all it should apply to. As stated above, the suggestions are a few ‘examples’ of changes to the system t hat would be viewed as a positive amends making, a beginning. It would be very helpful for you to meet with us, the principle prisoner representatives and our outside mediation team, for additional dialogue – asap. This entry was posted in From Inside Prison, Uncategorized, Update and tagged 2017 Stanford Report, 3 Judge Panel, 30 year survivor of CDCR State-Sanctioned Torture, 60 Minutes, abuse of prisoners, Agreement to End hostilities, Agreement to End Race-Based Hostilities, amends for 3+ decades of systematically intentional state-sanctioned torture, Board of Parole Hearing (BPH), California Static Risk Assessment, CDCR administrator Diggs, Coleman v Gov of CA, collective unity, constitutionally deficient medical and mental health care, construct sufficient classrooms and work shop areas, Declarations of Independence: Cross-Examining American Ideology, dissolve Forensic Assessment Division, education, expand Contact Visits, FAD, Failed Experiment, Federal Cout Orders, Governor Brown, Howard Zinn, human rights movement, humane treatment, Integrated SHU-Concrete Yard policies, International Treaty Law, lack of reparative action, law and order, lifers, litigation, mass hunger strike, massive human warehouses, No Warning Shot policy, obedience and disobedience, ongoing human rights violations, Open Letter to Governor Brown, parole hearings, Pelican Bay State Prison (PBSP) Security Housing Unit (SHU), permanent sterilization of women in CDCR prisons, Plata class action lawsuit, policies and practices, preventable deaths, principle prisoner representatives, prisoner class, Prisoner Human Rights Movement (PHRM), prisons in southern Central Valley desert areas, Program Failure determination, programming, rehabilitative opportunities, remove Close Custody Classification, Scott Kernan, Short Corridor Collective, solitary confinement torture, staff using deadly force, Term-To-Life Sentences and Parole Suitability, The Optimism of Uncertainty, The Zinn Reader - Writings On Disobedience & Democracy, Todd Ashker, tough-on-crime, valley fever, vocation, war against the working-class poor, work. Bookmark the permalink.